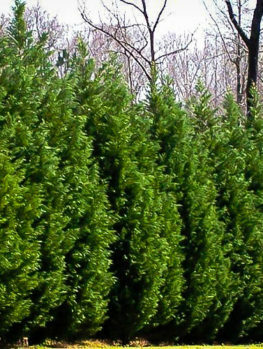 The Dwarf Hinoki Cypress is a small evergreen bush that grows steadily to 3 feet in height and then ultimately to about twice that. 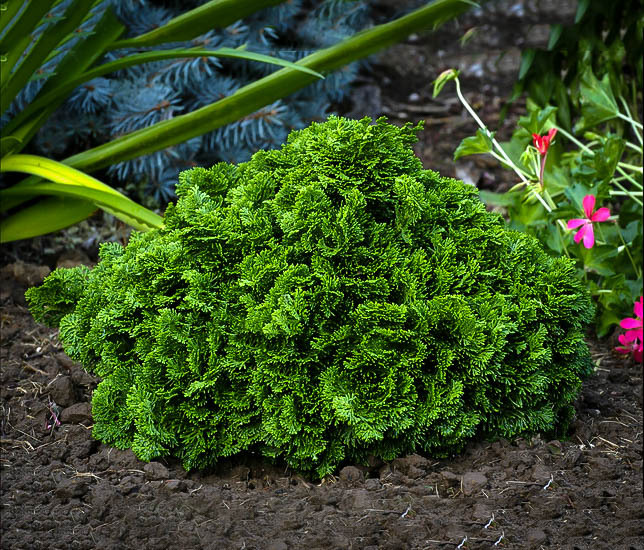 It has a naturally dense pyramidal shape and is an excellent plant for foundation plantings around your house or as a component of shrub beds. It needs no maintenance or clipping to develop its beautiful rounded sprays of dense foliage and it will grow in most areas, from zone 4 to zone 8, in sun or part shade and in ordinary soil with no particular attention needed. 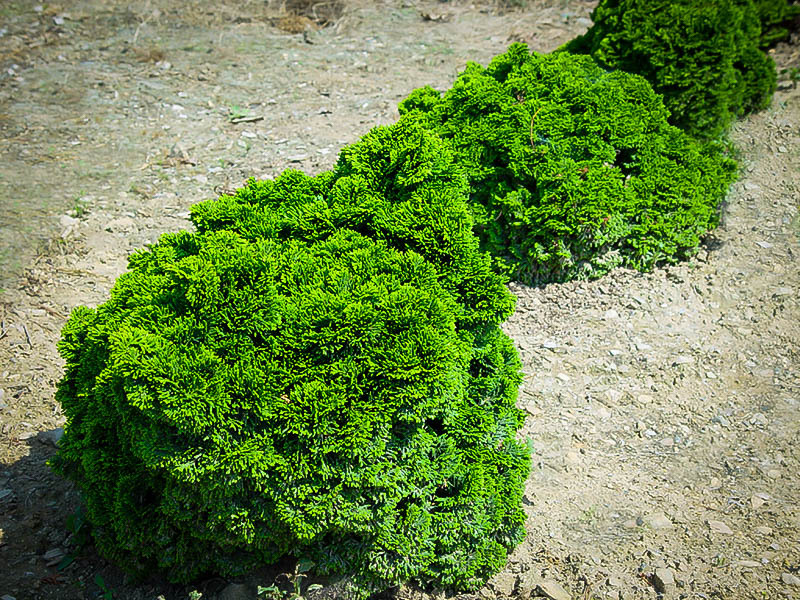 Plant your Dwarf Hinoki Cypress is a sunny area of your garden. It will grow in any well-drained soil, and needs no special care. This truly is a low-maintenance shrub that will increase in beauty and character as time goes by. It has no significant pests or diseases and requires no special care at all to make a great showing in your garden. Evergreen trees and shrubs give permanence and stability to your garden. They remain relatively unchanged with the seasons and often look most striking in winter when deciduous plants are just twigs. They give all-year-round screening when needed and soften harsh features of a building through all the seasons. These plants give structure and form while the plants around them come and go. If you want a low-maintenance garden then generous use of evergreens means a garden that needs very little raking and pruning and will pretty much take care of itself. The down-side is that many evergreens grow large and can take over the garden, creating too much shade and crowding out your flowering plants. This means that neat and compact plants are highly desirable, especially now that so many of us live in smaller homes and have smaller gardens as well. The Dwarf Hinoki Cypress really is a dwarf plant and will be just 3 feet tall 10 years from now. It can reach 6 to 10 feet eventually in ideal conditions, but that takes a very long time, as the growth slows with age. 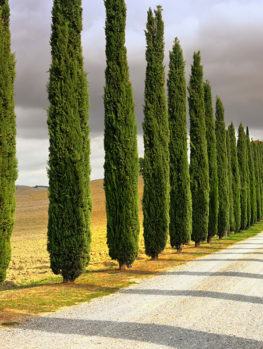 Our Dwarf Hinoki Cypress trees are true to the original form of this plant. However we are constantly renewing our stock so our customers get fresh, healthy plants, so supplies of this beauty may be limited. To avoid disappointment order now. This plant is an evergreen with soft leaves that wrap around the stems, so it does not have sharp needles like a Juniper for example, making it safe around even the smallest children. The foliage is a beautiful rich, deep green that is always fresh and bright. It grows in characteristic rounded fans that look a little like clusters of shells. New growth is a lighter shade of green giving a fresh look in spring. In colder areas the foliage may develop an attractive bronzy coloring during cold weather. 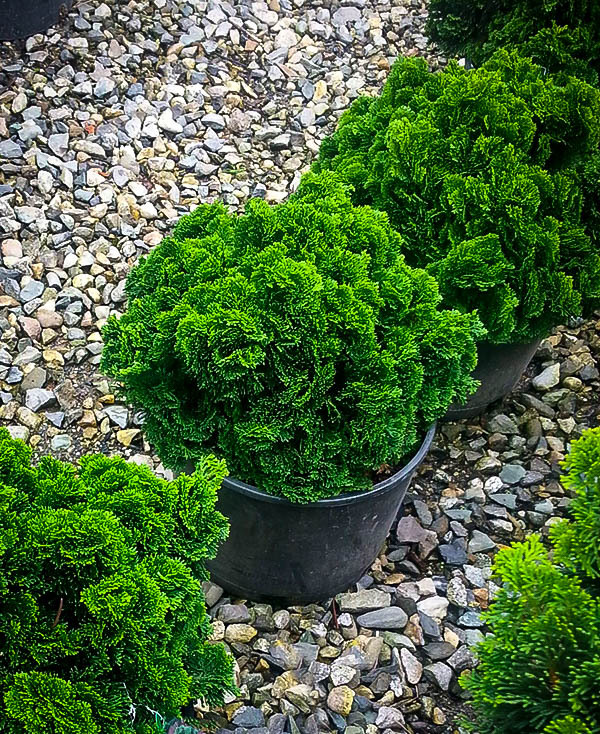 The Dwarf Hinoki Cypress makes an ideal plant for foundation planting around your home, as an accent in a mixed shrub bed, or as a container plant in a pot or planter that will grace your patio or terrace. A pair on either side of your entrance will give a sense of permanence and balanced elegance to your home. They can even be planted in a row to make an unusual low informal hedge. 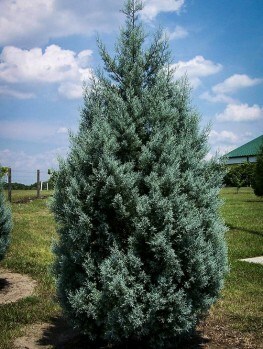 The Dwarf Hinoki Cypress grows best in zones 4 to 8, preferring full sun. Some shade, especially in hotter regions, will be appreciated, especially in the afternoons. It is tolerant of most kinds of soil and will tolerate some drought but prefers to be kept somewhat damp and not very dry for long periods. It has no significant pests and diseases and always looks healthy with its dense, rich-green foliage providing a stable garden presence. After planting, cover the area around your tree with a few inches or organic mulch. Keep this away from the lower foliage and trunk and add new mulch each spring. Water your tree weekly during the first season and then do not let it dry out completely. It requires no clipping or pruning as its natural growth is dense and tight. Indeed, your tree will have much more character and personality if you leave it untrimmed, so save your shears for the hedge. The Hinoki Cypress Tree (Chamaecyparis obtusa) grows wild in Japan. It is a large forest evergreen, growing over 100 feet tall with some resemblance to a White Cedar. The name ‘Hinoki’ means ‘fire’, referring to the reddish color of the foliage in winter. The tree is used for high-quality lumber for construction of temples and palaces. 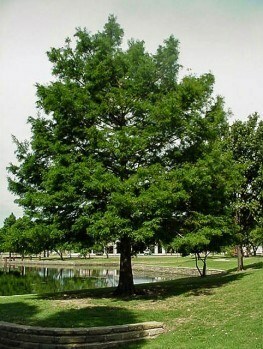 It is not a true Cypress tree, so it is sometimes also called False Cypress. Although this tree is sometimes seen in its natural form outside Japan, gardeners and landscapers usually grow one of the many varieties that have been developed. 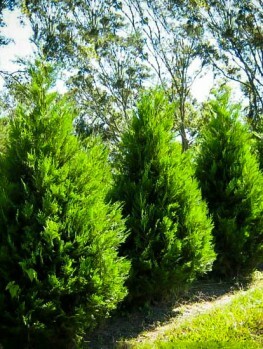 These vary in size, but the most useful for smaller gardens is the Dwarf Hinoki Cypress. 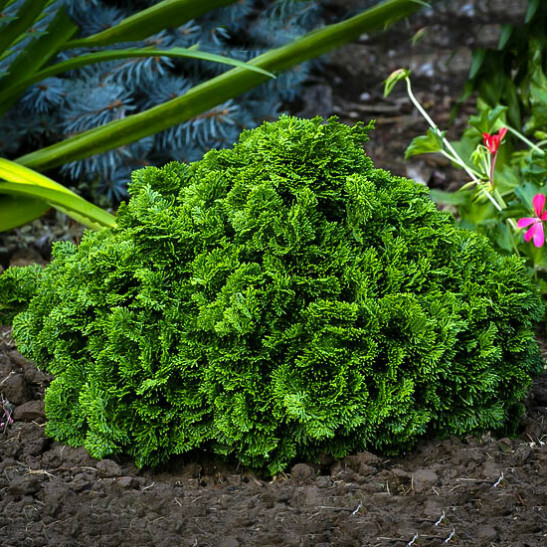 This beautiful variety grows steadily to form an elegant pyramid, broader at the base and narrowing towards the top like a broad cone, making it a beautiful addition to any garden. 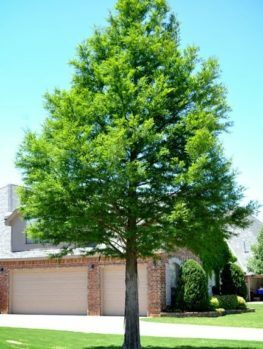 The exact origins of the Dwarf Hinoki Cypress are lost, but it was probably brought from Japan to Europe a very long time ago. 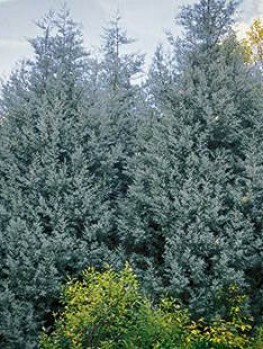 Despite its long use in gardens it remains in the eyes of experts one of the very best dwarf conifers that can be grown, with a strong, rugged character that always attracts attention. Because of its special character, the Dwarf Hinoki Cypress must be grown from stem pieces of correctly identified plants, which is how our plants are produced. 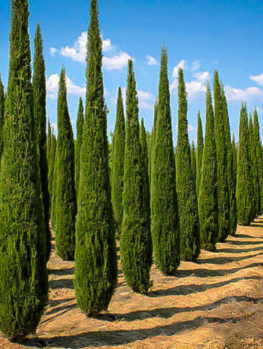 Cheaper plants called ‘Dwarf Cypress’ will not be this lovely form and cheap seedling plants can be very different and often much larger-growing. Avoid disappointment by choosing only the real thing.